Review It’s not often that a mere cable merits a review of its own, but the Digital AV Adapter that Apple recently launched along with the new iPad 2 is worth a closer look. 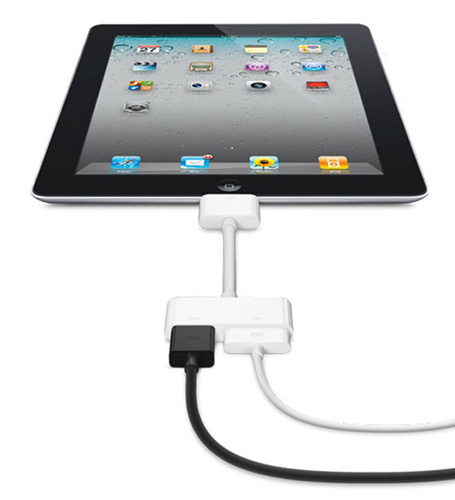 The cable plugs into the dock connector on the base of the iPad 2, and is also compatible with the original iPad, the iPhone 4 and the current fourth-generation iPod Touch. The other end of the cable provides a full-sized HDMI interface so that you can connect it to an HD TV, along with a pass-through dock connector so that you can still charge up the iPad at the same time. 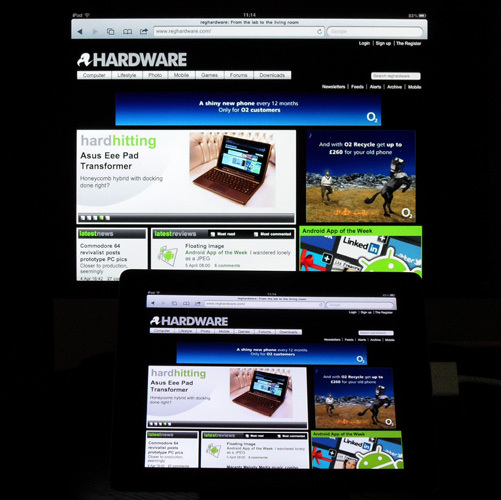 There are two options when using the Digital AV Adapter with an iPad 2. If a specific app – such as Apple’s own Videos app on the iPad – has been designed to provide its own external video output then you can view the app’s output in full-screen on your HD TV. The cable itself supports full 1080p output, and there are games on the way that will support 1080p as well, so you’ve got the potential for a pretty handy games console there. However, the iPad itself currently only supports 720p output for video content, so that’s the resolution you’ll get when watching any HD films and TV programmes that you’ve downloaded onto the iPad.